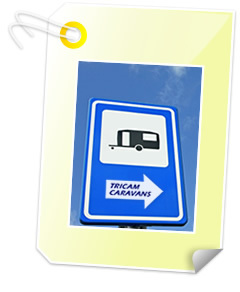 At Tricam Caravans we have over 25 years' experience selling used touring caravans and 25 years combined experience in the financial sector. Based in Dromore, Co Down we specialise in Quality Second Hand caravans for sale in Northern Ireland. As reputable caravan dealers we pride ourselves on our honesty and strive to ensure our customers receive a great quality service and a touring caravan they can enjoy for years to come. Our qualified service engineers inspect all our caravans on arrival including metre tests for water ingression. ALL our Caravans are CRIS / HPI checked for your complete peace of mind. Over the 25 years we have been in business we have developed a good name and rapport with our customers. As well as Second Hand caravan sales we also offer full Servicing and Repair Facilities. Caravans purchased at Tricam Caravans are covered under warranty so our expert servicing and repair team will look at any problems that may occur quickly and efficiently. Please contact us to book your caravan in for a service or repair.